The world’s two mega-brewers are aggressively wooing customers to pay up for higher-quality, and craftier, suds. The Dutch brewer’s full-year results suggest it’s managing the shift well despite – or perhaps because of – the increased heft of its $129 bln competitor. Botttles of Heineken lager beer are seen in a picture illustration inside a refrigerator in Vienna, Austria, October 18, 2016. 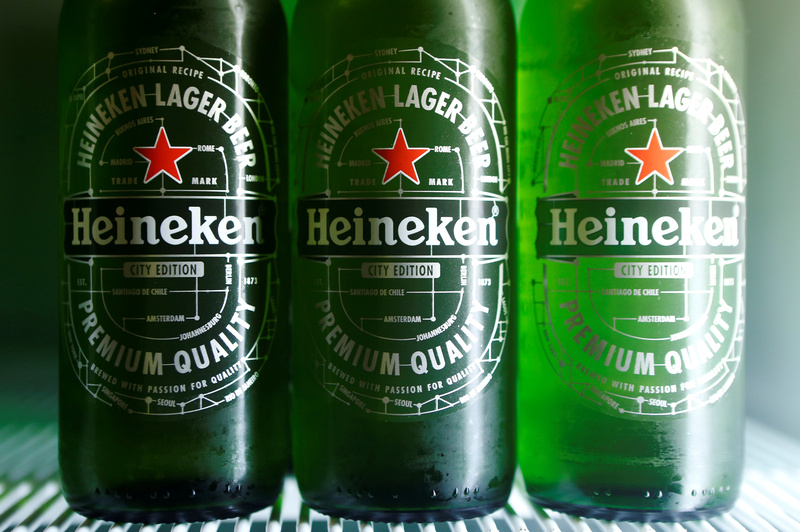 Heineken, the world’s second-largest beer maker, on Feb. 13 forecast its operating profit to grow at nearly the same rate in 2019 as last year, when beer sales increased in all its markets. The Dutch brewer of beer brands Heineken, Tiger, Sol and Strongbow cider, said it expected continued economic volatility, but improved revenue, driven by increased beer sales, higher prices and consumers trading up to more expensive drinks. “Going into 2019, we expect the environment to remain uncertain and volatile. Overall, we anticipate our operating profit to grow by mid-single digit on an organic basis,” Chief Executive Jean-François van Boxmeer said in a statement. The brewer’s operating profit before exceptional items rose 6.4 percent on a like-for-like basis in 2018 to 3.87 billion euros ($4.39 billion), just above the average forecast of 3.85 billion euros in a Reuters poll. Heineken shares rose 5.2 percent to 85.6 euros at 0912 GMT on Feb. 13.